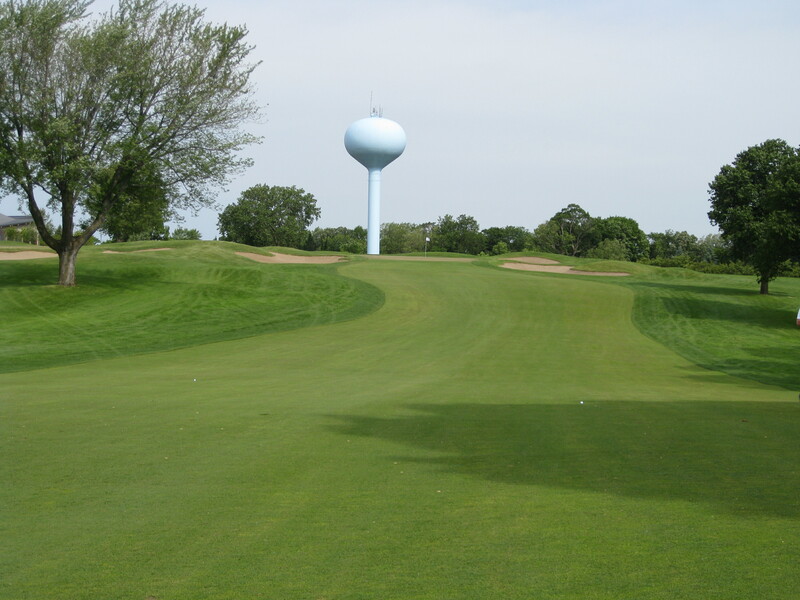 Hazeltine National Golf Club has been, in my opinion, the Minnesota golf course that I have associated the most with being both fair and challenging. 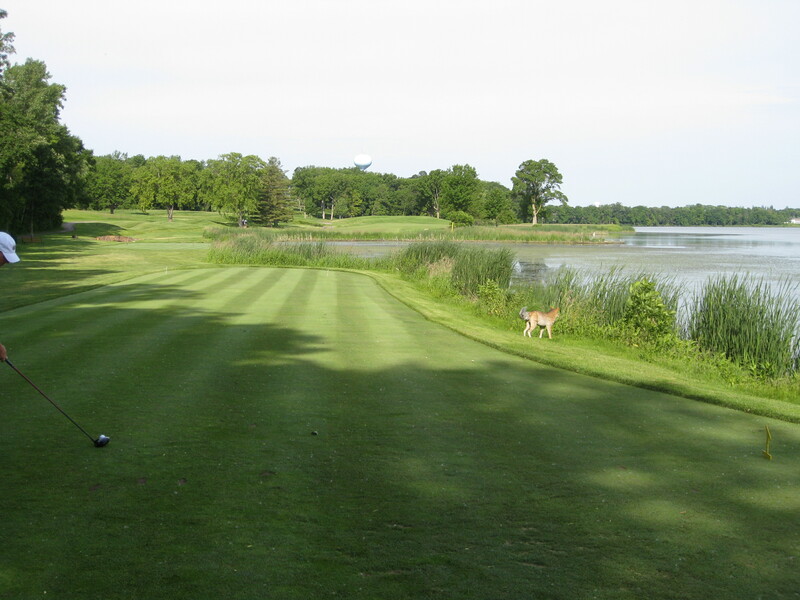 There are few surprises when you tee it up in Chaska. If you want to score well, you need to hit it straight and with an above average amount of length (depending on the tees one plays). Hitting it crooked off of the tee meant dealing with rough that is thick and often long. That, in turn, makes it difficult to get the ball on greens that are very well protected. Throw in several uphill approaches and there is a severe degree of difficulty in hitting the ball high enough to get it to stop on the greens. 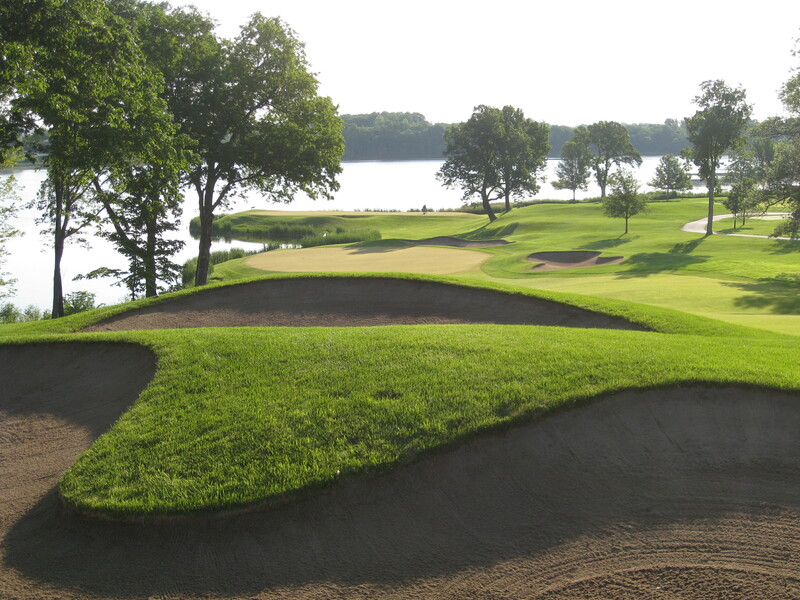 While no course in Minnesota has hosted the number or variety of national championships as Hazeltine, there would always be rumbles and whispers from top players. They would quietly complain that the poa annua in the greens led to putting surfaces that were not as smooth or as true as they would like. There was certainly some truth to the comments as the greens would be a little bumpy at times. They weren’t horrible, but they weren’t quite as good as you might expect for a top 100 club that cares so much about the golf course. 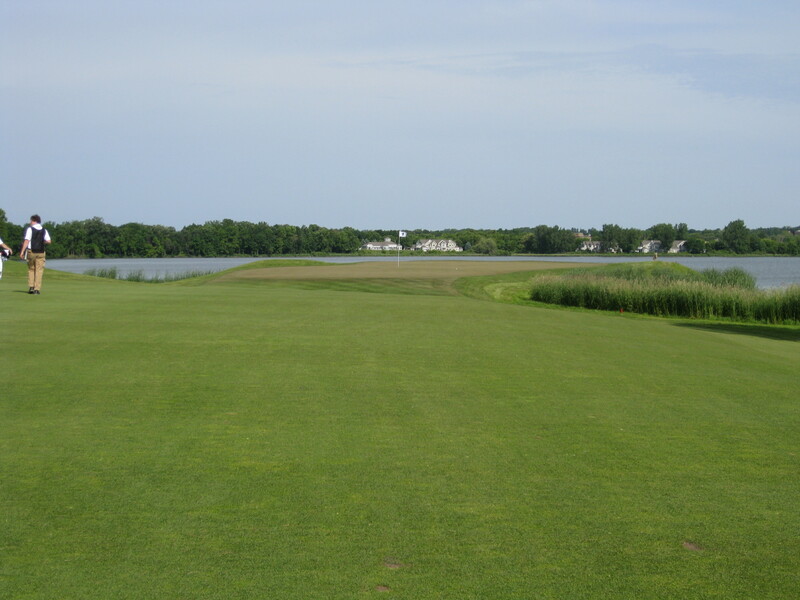 Because of that, Hazeltine shut down last year right after July 4 and significant work was done. 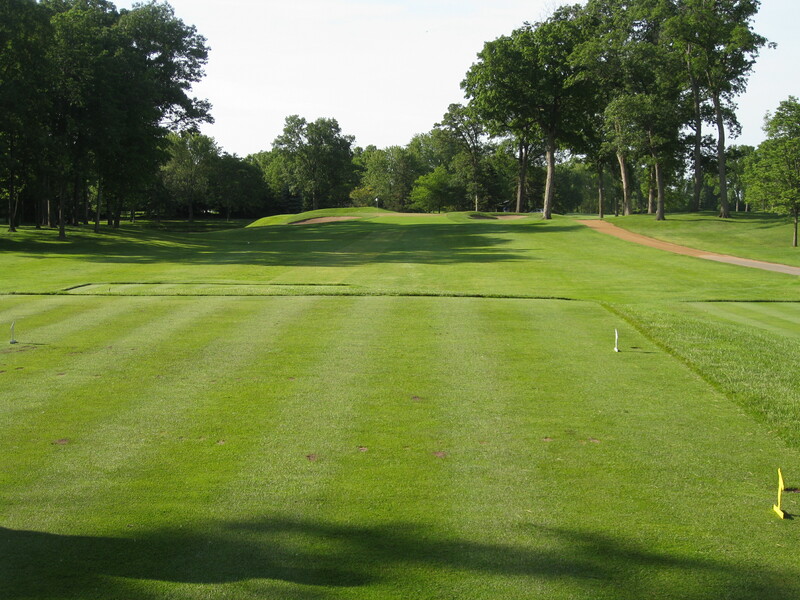 The club regrassed all of their greens and fairways along with the first eight feet of rough. In addition, the club tore down its old clubhouse and built a new, modern facility. Call it the beauty of hosting major championships. The project cost a total of $15 million and members were not hit with a special assessment. They had to continue to pay dues despite not being able to use the golf course, but they didn’t have to swallow a huge bill. My overall thoughts: The biggest difference is in the greens. The reconstruction means that they are going to be firmer on a regular basis, they’re going to be smoother and they very well may be faster. What does that mean? I think it might mean that a challenging course might be even more challenging. I think it is going to be harder to fly the ball close to the hole and have it immediately stop. Getting it to stop out of the rough? That’s going to even tougher. The good news is that if you can handle the speed of the greens, you might make more putts. Why? These things are super smooth. If you get it on line, it is going to stay there. That’s a good thing. When I played Monday morning, the greens were quite speedy, among the fastest I have putted on this year. In terms of greens, they didn’t seem all that different from before. A few greens that were expanded — No. 10, for example, has room for another pin in the back left. Thanks to technology, the previous contours were replicated. Here is 16 from the fairway after I bombed a drive. Yes I hit it close and made the birdie. About the clubhouse: It’s a huge upgrade over what they had previously. It is nice in a Hazeltine sort of way. I mean that in that it is classy and nice, but it isn’t over the top. It’s functionally nice. The locker room is nice and it is just steps from the putting green, golf shop and the first tee. There’s a cool three-season porch and bar area. There are a lot of cool photos and the like from past championships. In the basement, there’s a great indoor practice putting green and a Ping Performance Studio that has all kinds of high tech toys. 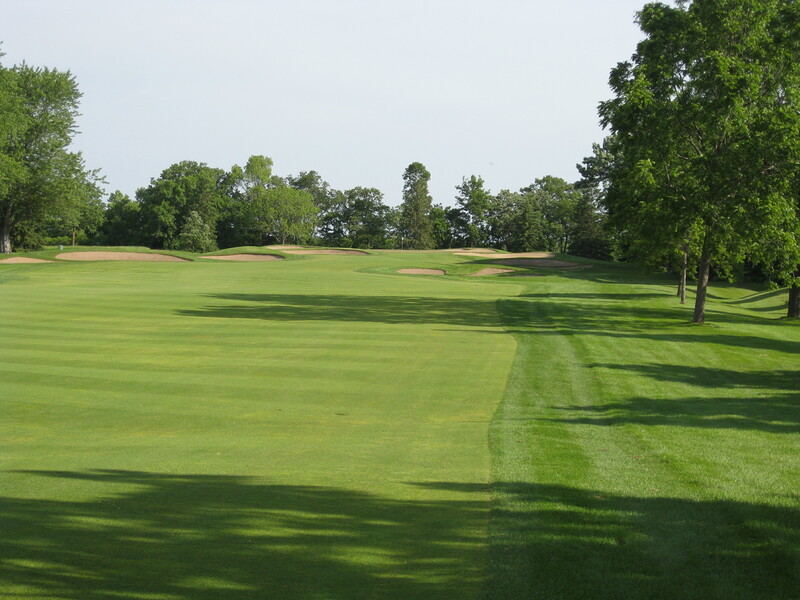 Non-members can take lessons from Hazeltine professional Mike Barge in that area and get fitted for clubs there. 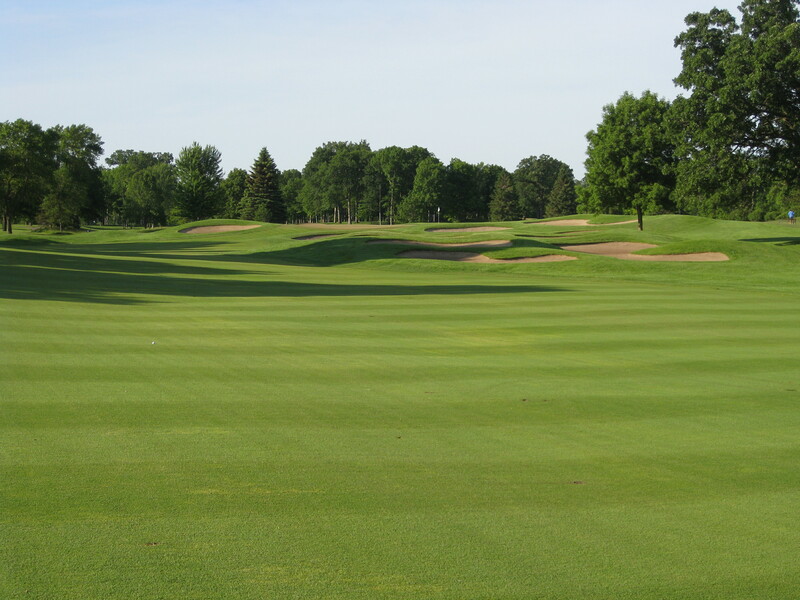 About the practice area: Hazeltine already had the best or one of the best practice facilities in the Twin Cities. That hasn’t changed. There are multiple target greens and a target fairway. The short game area is nice. A new practice green is the only thing that hasn’t opened as it was one of the last things to be seeded. What does it all mean? I think this is a very nice upgrade to what was already a good golf course. 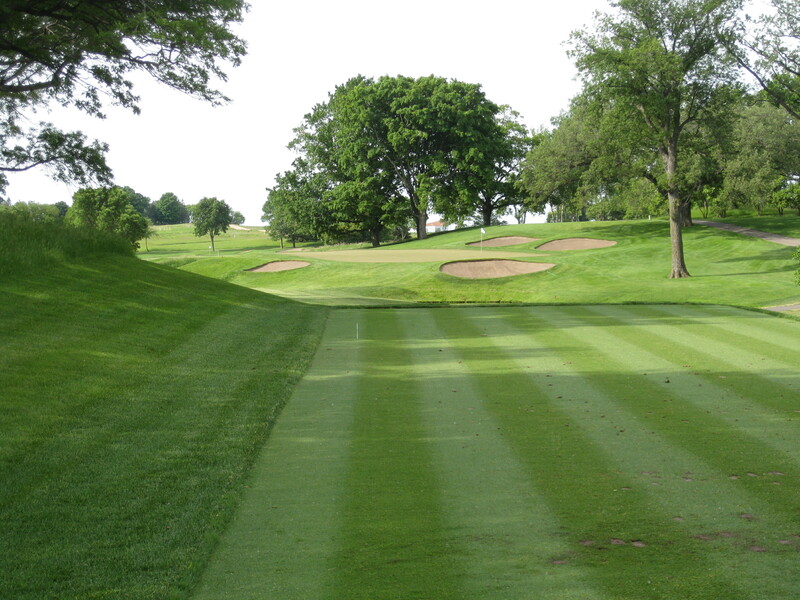 I know there are people who think Hazeltine is boring, but there are a lot of good holes out there. It’s a very stern test of golf. And I like that it is a club about golf and about walking. There are certainly some social stuff there, but it isn’t a club that is all about that. It is much more about teeing it up, playing the ball down and playing by the rules. Want more info: You can get membership info here. 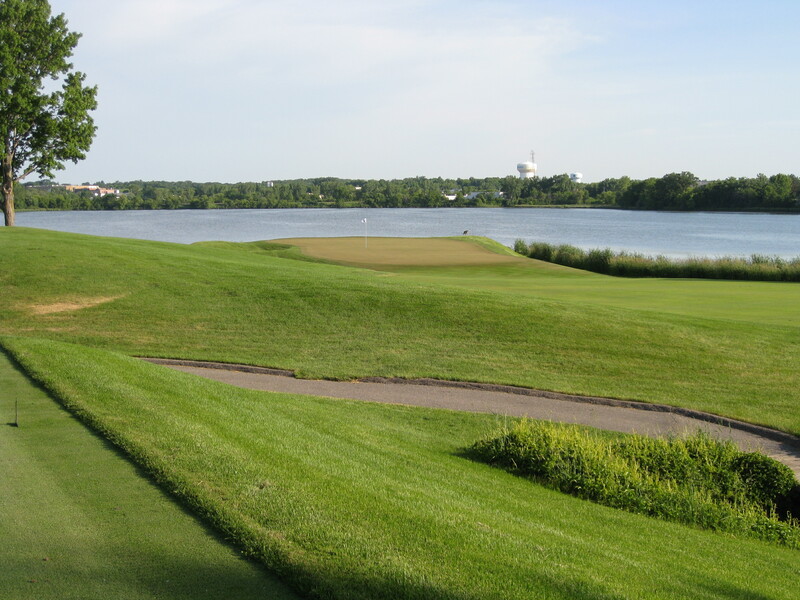 At a time when many, many private clubs are slashing initiation fees to secure new members, that isn’t the case at Hazeltine. They are doing a whole lot better than most clubs in town. It’s not surprising considering the product and the growth over the past 20 or so years in the southwest part of the metro. If I had the money, and they’d have me, I’d be there in a minute. It bothers me not one bit that the golf course is demanding. EVERY golf course is demanding, if you ask me. Give me a place where Only Golf Matters! That’s Hazeltine, from everything I’ve ever heard. I love that first picture, Jeff. A strange (and very well chosen) angle on both holes. Fortunately my body realized the best picture on 16 was right from the middle of the fairway. Dan, the angle of the photo of 10 wasn’t really chosen. My ball somehow ended up between the bunkers and I took the photo while waiting for someone else to hit. The one thing that I didn’t mention is that they cleared out a bunch of stuff on the left of where that photo was taken. You still probably can’t make par from there, but you aren’t completely dead now. “Somehow” your body knew that there was a great picture waiting over there. 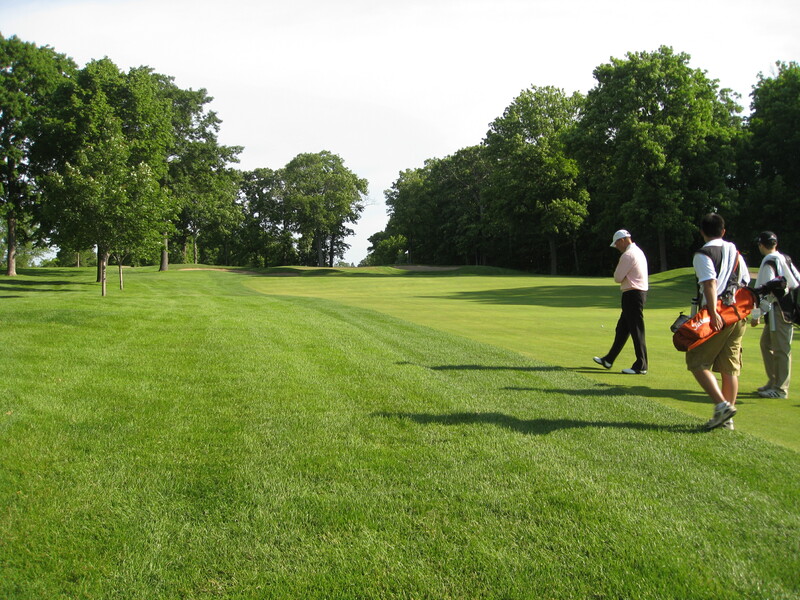 Next time, tell your body there’s a great picture from right in the middle of the fairway at the top of the hill.